This House calls upon the Government of Pakistan to condemn the execution of Mr. Muhammad Qamar-uz-Zaman, Assistant General Secretary, Jammat-e-Islami Bangladesh, by the Government of Bangladesh for his support to Pakistan in 1971. 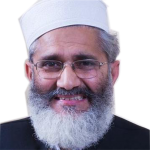 The Government of Pakistan may demand the Government of Bangladesh not to revive the matters of 1971 and to quash/withdraw all the cases against the leaders of Jammat-e-Islami Bangladesh in the spirit of reconciliation. This House expresses its condolences with the family of the deceased and Jammat-e-Islami Bangladesh.